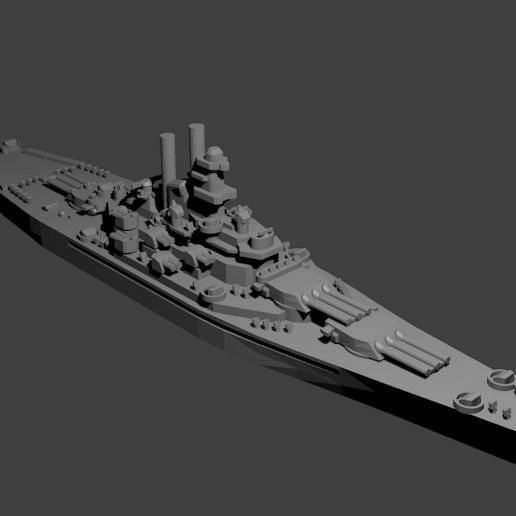 1/1800th scale Gearing class destroyer model. Certain elements not to scale. The Gearing-class, and the preceeding Allen M. Sumner-class destroyers were a series of a combined one hundred and fifty-six small warships built for the U.S. Navy during WWII. The Gearing-class were nearly identical to the Allen M. Sumner-class except that they were a few meters longer. They carried six five-inch guns and ten torpedo tubes, along with a large collection of antiaircraft guns.